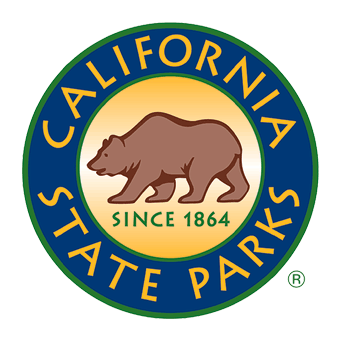 There are three CSPA park stores—at Half Moon Bay State Beach, at Pigeon Point Light Station SHP, and at Año Nuevo State Park. Hours for each location can be found below. Merchandise in the stores is representative of the cultural and natural history of the specific park area. The best sellers are logo items including clothing, patches, pins, mugs and the stuffed animals such as otters, octopus and harbor seals. Books, postcards and magnets are also available. Some items are in all locations, but some can only be found in the specific park's store. The stores are staffed by volunteers, docents or park aides. Two part-time staff members identify items to offer for sale, purchase the inventory and restock the stores. They are the only paid staff for CSPA. Operation of the stores is considered both an interpretive function for the parks as well as being revenue generating. In 2016, the stores contributed 33% of the net funds raised to support the work that CSPA does. 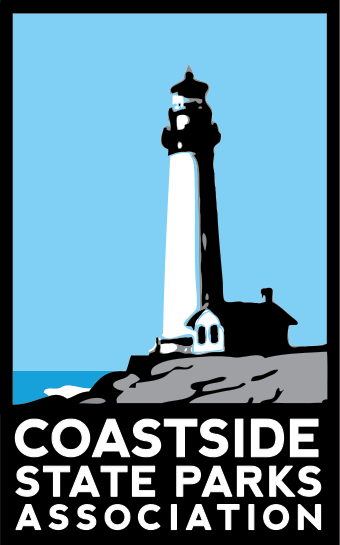 The store at Francis State Beach, HMB is located in the day-use parking lot at the end of Kelly Avenue. The store shares the space with the visitor center. The store is operated by volunteers Fridays through Sundays between 11 a.m. and 5 p.m, however heavy rain may cancel a shift. At Pigeon Point the store is located in the historic building that was once the Carpenters’ Shop. The store is operated by volunteers Thursdays through Mondays between 10 a.m. and 4 p.m. The store at Año Nuevo is in a section of the Marine Education Center which was formerly a dairy barn. The store is operated by volunteers when available through the summer and fall months between 10:30 a.m. and 3:30 p.m on weekends and 11:30 a.m. and 4:30 pm on weekdays. For the breeding season (December 15 through March 31), the store is staffed with park aides between 8:00 a.m. and 3:30 p.m.